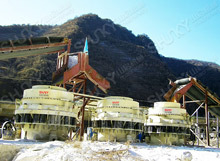 PY series spring cone crusher is the first cone crusher, which is based on absorbing the internationally advanced technique; It has been used in the secondary and tertiary crushing. The spring insurance system is the overload protection device; The sealed form is dry oil or water; According to the crushed ore use, it is divided into three types: the standard type; the medium type and the short head type. 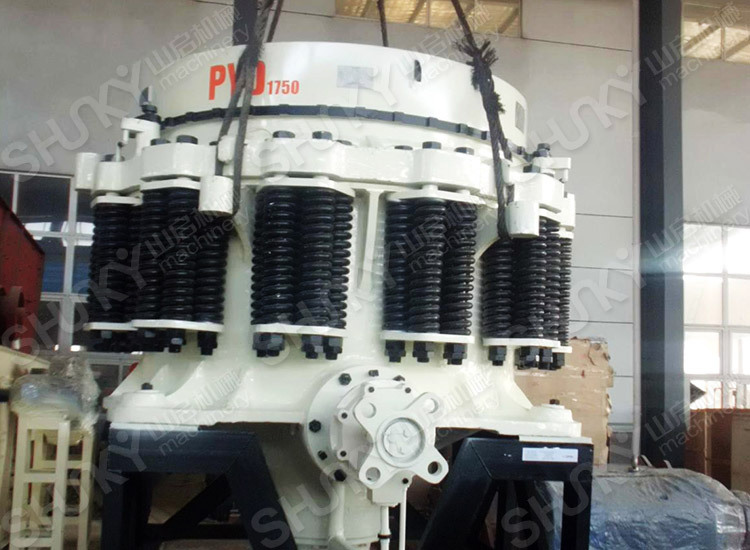 PY series cone crusher mainly consists of frame, fixed cone assembly, movable cone assembly, spring organization, bowl liner and transmission parts. The accessory devices are electrical system and thin oil lubrication system and hydraulic cleaning chamber system. As shown in the following figure, the fixed cone assembly consists of adjustment bush, rolling mortar wall etc. 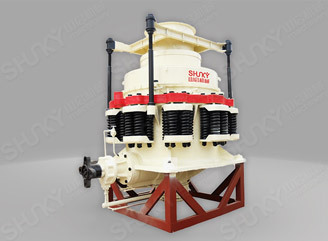 The movable cone assembly consists of main shaft, movable cone and crushing wall etc. 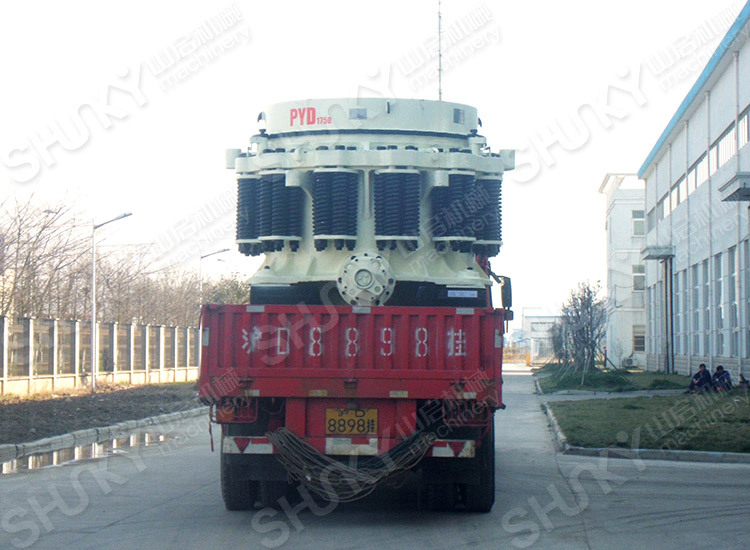 Transmission consists of big belt wheel, transmission shaft, small gear, big gear etc. 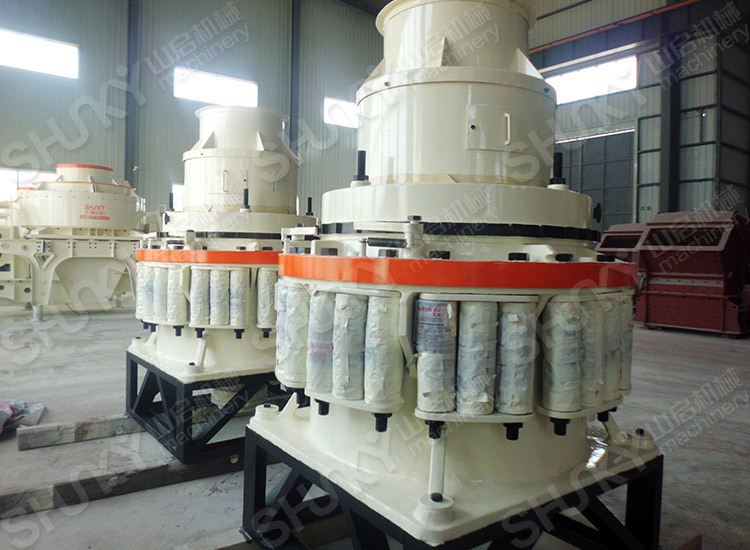 The working portions of spring cone crusher are cones, the fixed cone and movable cone. 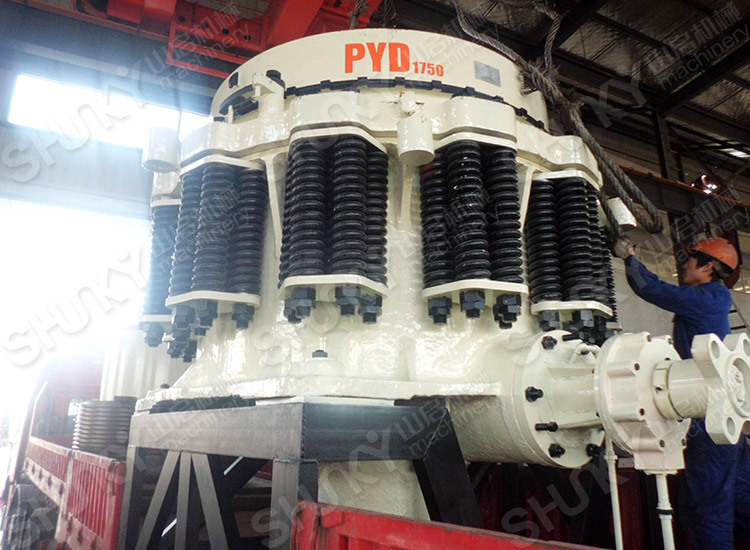 In the area of the movable cone moving close to the fixed cone, the ores will be squeezed, knocked and crooked, this area is the crushing chamber; when the movable cone deviate from the fixed cone, the crushed material will discharge, this is the discharging port. 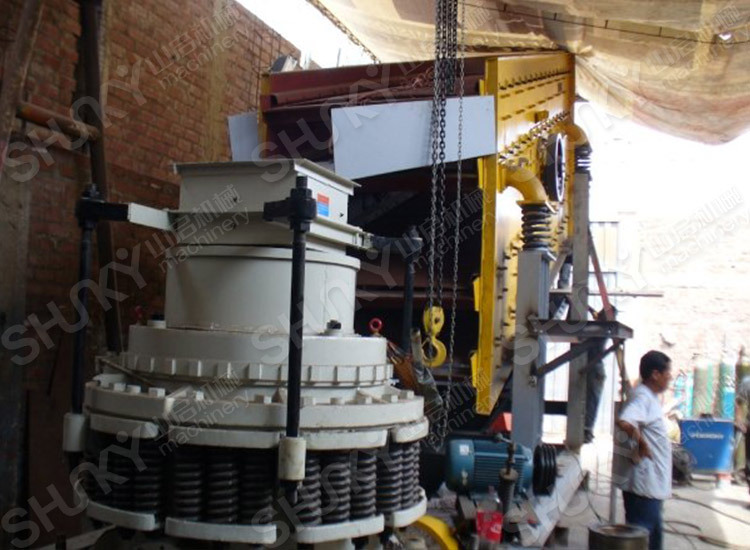 The movable cone operates conveniently, the crushing and discharging process works alternately and continuously; there is a parallel gap between the movable and fixed cone, which makes the final product fine cubic shape. 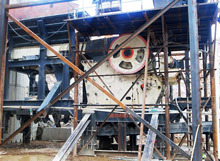 Type of the crushing chamber is decided by the application of the ores. Standard type is for PYB (secondary crush); middle type is for PYZ (tertiary crush); short-head type is for PYD (Ultra fine crush). 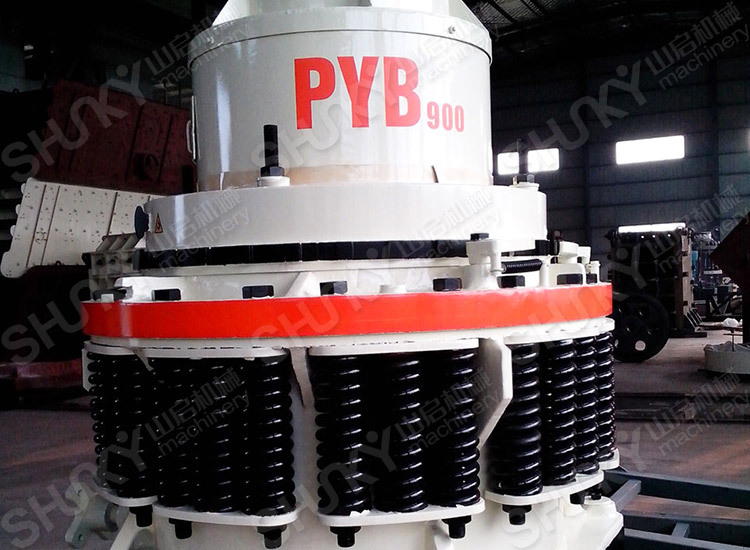 PY series cone crusher adopts the dry oil or water as the sealed form, which makes the dust be out of the main unit. It ensures the clearance of the lubrication oil, which extend the lifespan of sliding bearing and thrust ball bearing. Therefore, the machine operates reliably. 4.Overload protection and easy maintenance. The spring release system of crusher acts an overload protection system that allows tramp to pass through the crushing chamber without damage to the crusher. Meanwhile, the machine is convenient disassembly, which reduces much maintenance time and the cost. 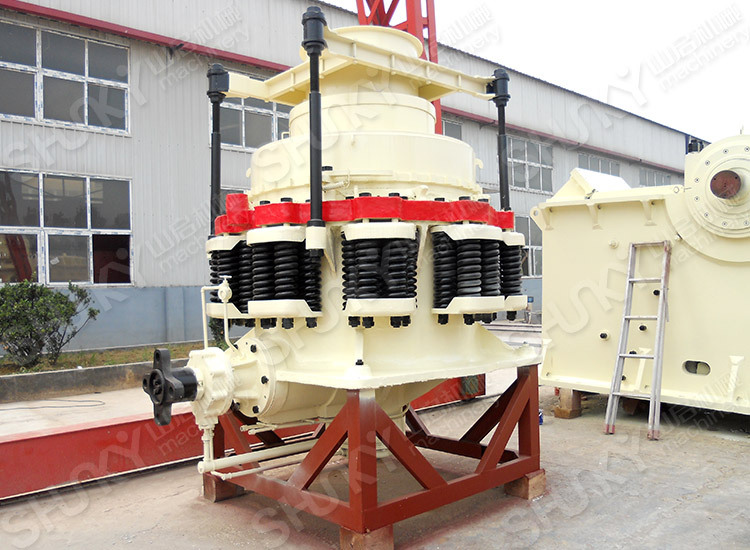 The cone crusher consists of body frame, transmission shaft, eccentric sleeve, cone bearing, breaking cone, supporting sleeve, adjusting sleeve, feeding part, spring, and elastic coupling, lubrication part, electric part, ect. 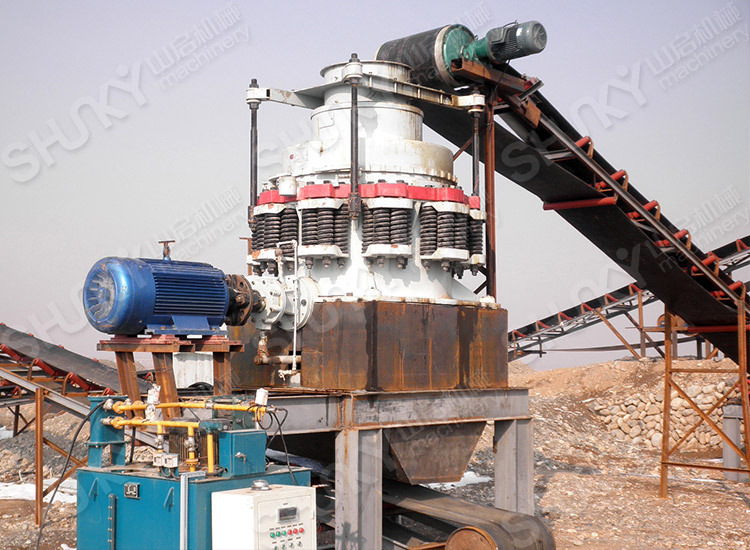 Cone crusher crushes by the change of the gap in the crushing cavity .The gap is opened and closed by the gyration of main shaft, which makes the stone be pressed, crooked and crushed. 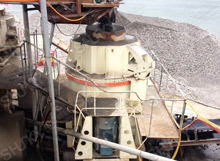 The crushing job is easy and the energy consumption is low. The final product is fine cubic and the working surface wear of movable cone is evenly. Therefore, the loss is low.